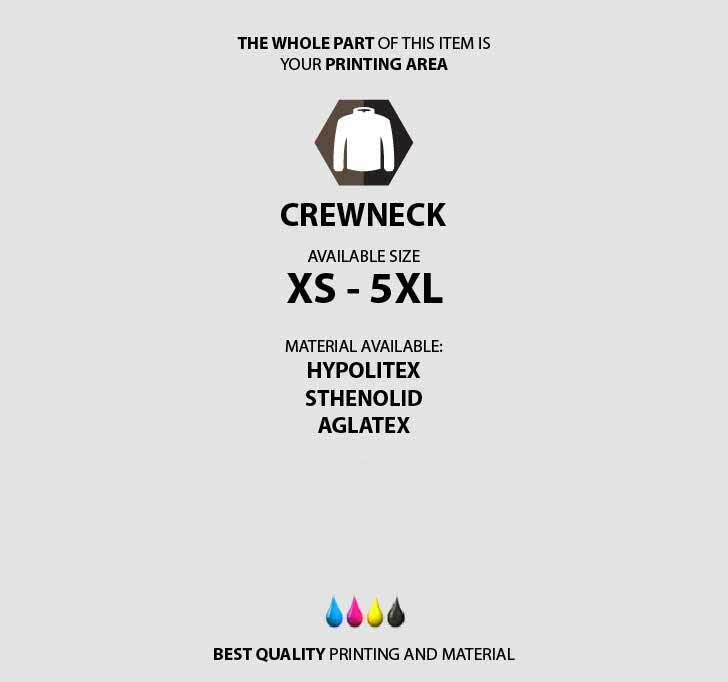 Crewneck is a sweater without a hoodie (head cover). 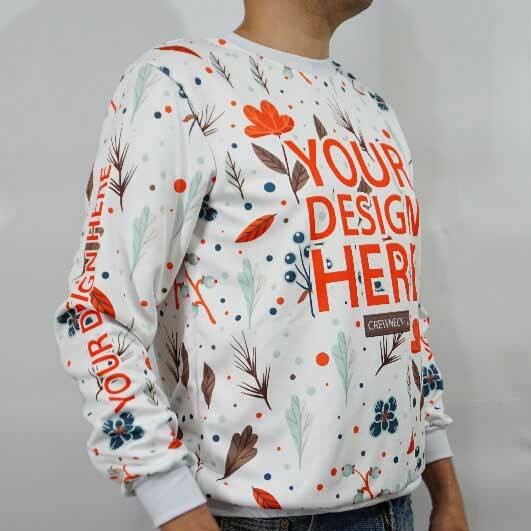 A crewneck sweater is an apparel that always suitable to be mix and match with any styles, from casual to formal. 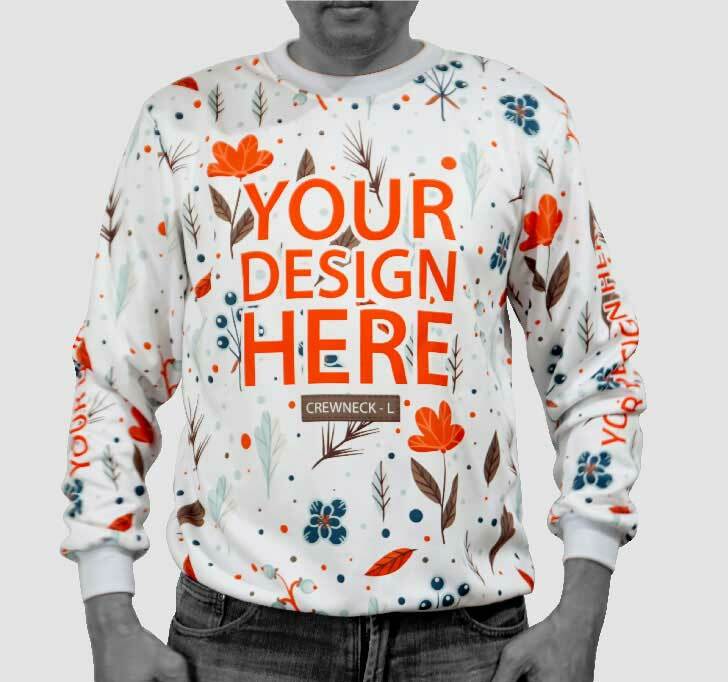 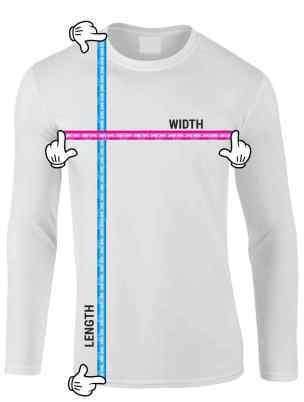 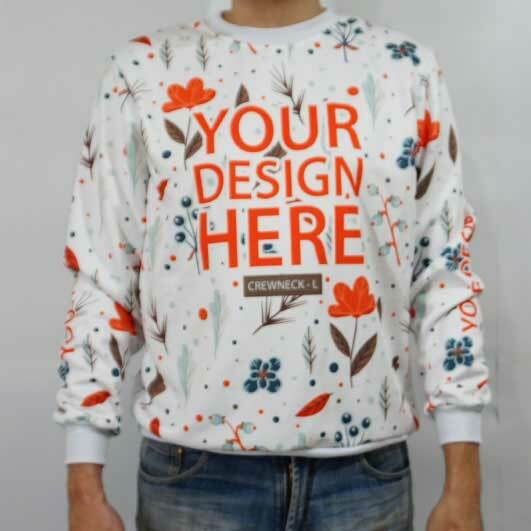 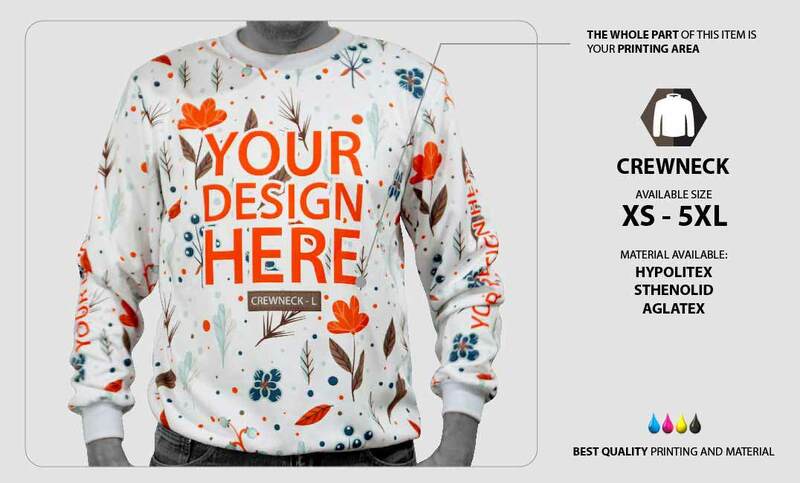 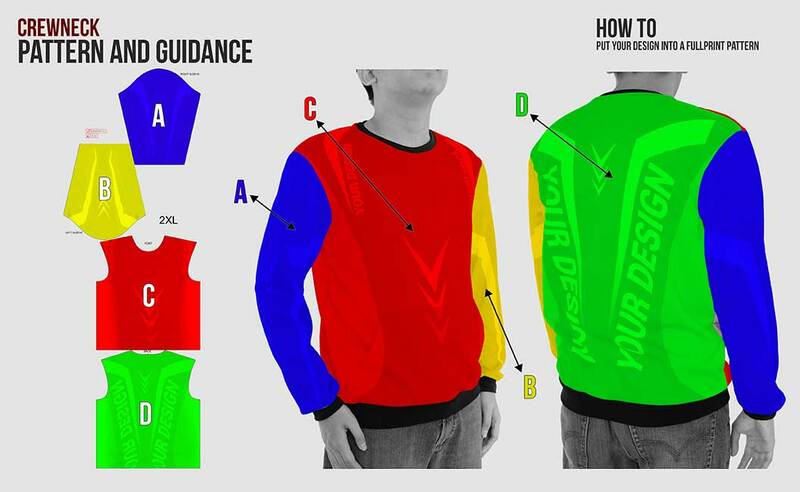 Furthermore, here you can design your own full print Crewneck. 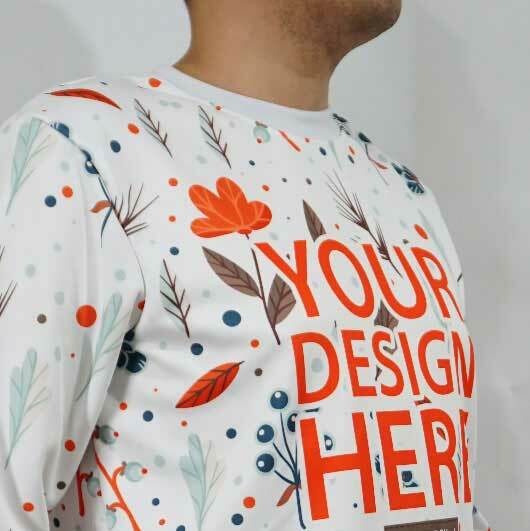 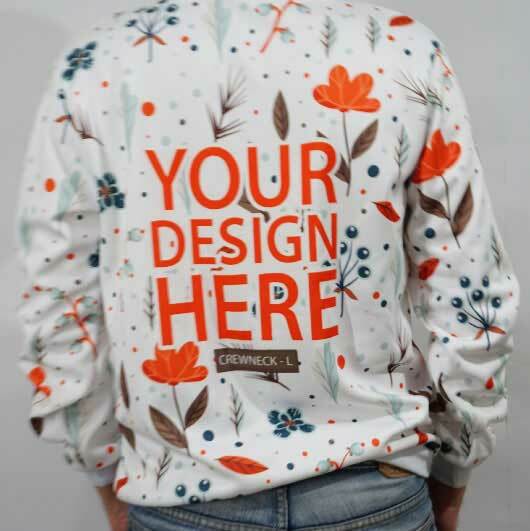 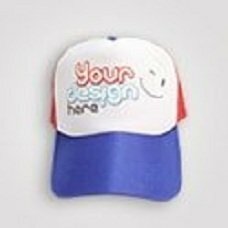 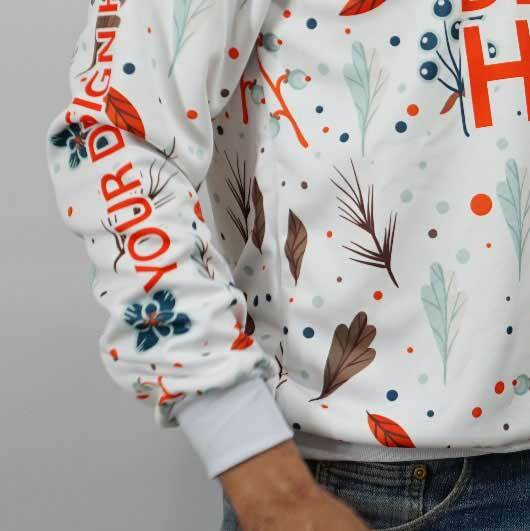 Not only color, you can also print any pattern designs you like on the front side, the back side, up to the sleeve side of your Crewneck. 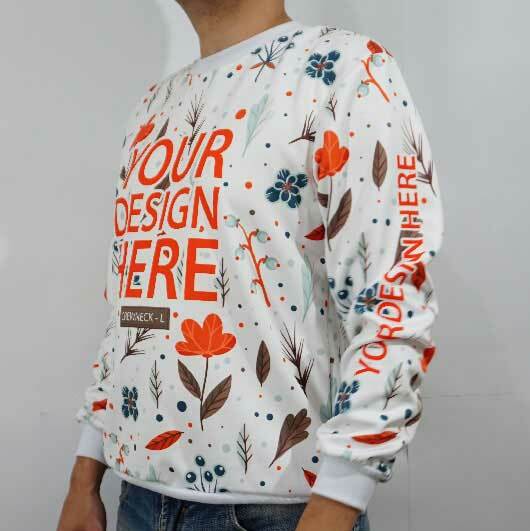 All of the Crewneck we produce have strong rib neck, sleeve edges, and bottom rib, all the joints are also neatly sewn that make it durable, the best quality fabric material and best printing result with a consistent color stability level and will not fade when it is washed.